A spacious, light-filled new home on High Street, and big plans here and overseas in 2017. 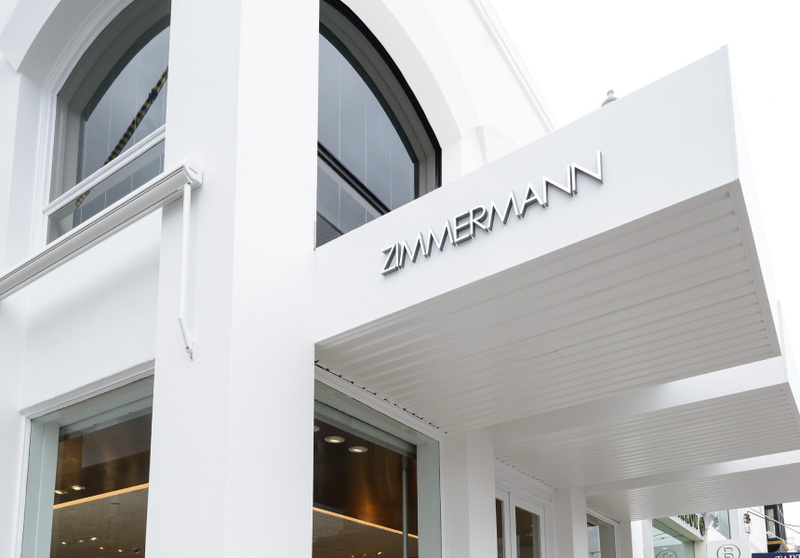 Zimmermann has joined Australia designer labels Dion Lee, Scanlan Theodore and ACNE on High Street in Armadale, with its fifth – and largest – Melbourne store. 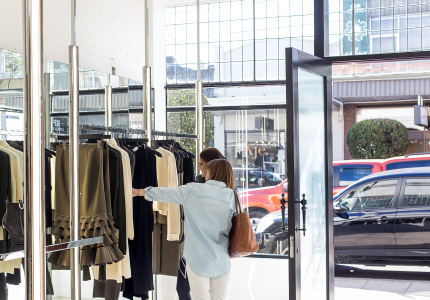 At 158 square metres, the store is Melbourne’s biggest Zimmerman outpost and holds the most extensive range of its clothing anywhere in the state. The opening follows a re-launch of the brand’s Paddington boutique in Sydney, as well as renovations to its West Hollywood location in LA. The High Street store is the label’s 22nd globally – there are 18 stores throughout Australia, plus three in New York, and one in LA. In February Zimmermann will open a Sydney CBD flagship and new stores in Miami and New York. 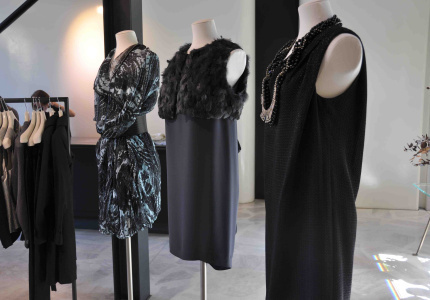 In mid-2017 Zimmerman will open its first European store in London. At the new High Street store, natural light floods in through north-facing windows, illuminating a stucco vaulted ceiling (a Zimmerman trademark) and interiors designed by long-time collaborator, Don McQualter. The label’s feminine Resort 2017 collection is on the racks. There are ruffled bikinis in floral prints; flouncy playsuits trimmed with pom-poms; and tiered chiffon midi-dresses. Glass shelves house accessories including leather, woven sandals; floppy straw hats; and Turkish-cotton beach towels. 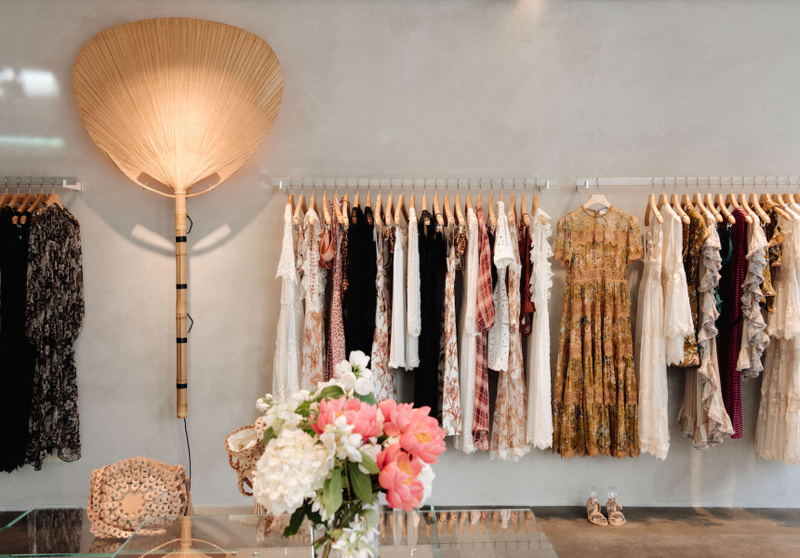 At the back of the store is an airy dressing room, with a central area fitted with backlit mirrors, plush carpet and wicker chairs, making trying-on a “less uptight experience” for staff and customers, says Zimmermann.